Campaigning group, Learning Away, has launched its new campaign, #WinterResidentials, which will encourage more life-changing experiences for young people. The campaign will encourage schools to provide more educational trips with an overnight stay in the autumn and winter term, when the benefits are greater and the costs are often lower. It aims to raise awareness about the benefits of residentials for schools in the winter months, and hopes to encourage teachers and schools to provide more residential experiences for pupils of all backgrounds and ages. 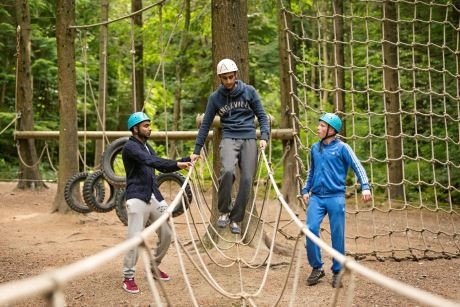 The #WinterResidentials campaign is an extension to the #BrilliantResidentials campaign which Learning Away has used to produce evidence of the positive impacts of residential experiences both on pupils and staff, as well as the wider school community. The research found that residentials can improve students’ resilience, achievement, relationships and engagement with learning, often playing a “transformational role” in re-engaging some of the most disadvantaged pupils with their studies. Kim Somerville, who is coordinating the national #WinterResidentials campaign for Learning Away, has explained that the transformation is greater the sooner a residential takes place in the school year. She commented: “Yet residentials in schools are more likely to take place in the summer term, just as the class teacher is saying goodbye to their class. We believe this is a missed opportunity for schools. Learning Away provides a campaign pack on its website which can be downloaded for free. It includes guidelines and materials to help teachers, educational coordinators and those who work in education get involved and promote the benefits of winter trips and residentials. You can find the campaign pack here. For more information, visit www.learningaway.org.uk.